I just listed the new illustrations in the shop. 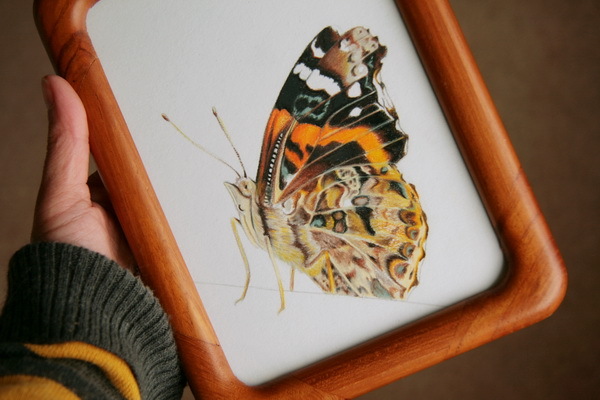 Here is the listing for the original butterfly illustration that I just did last week. It is also available as a 5 x 7 art print. 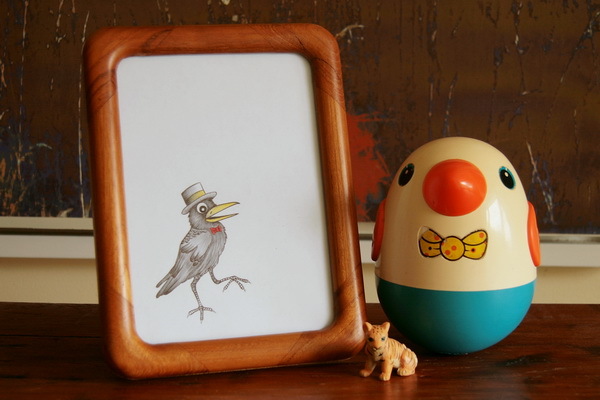 And the original Little Crow illustration is also up for grabs. 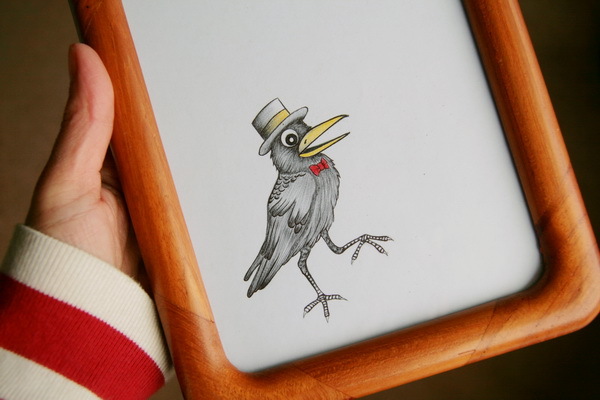 I've also decided to list the little crow with a speech bubble as a customizable 5 x 7 print. 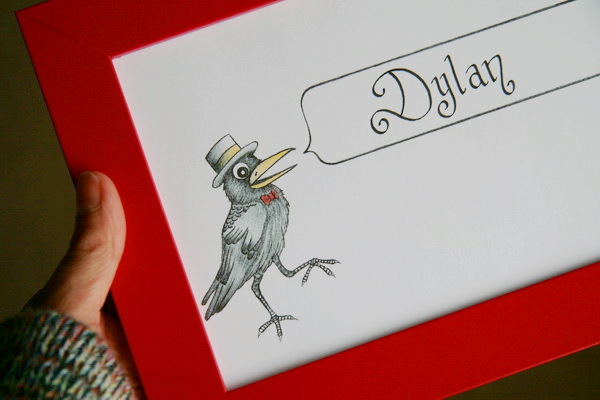 With this print, you can decide what you'd like the crow to be saying and I fill it in by hand in my fanciest script. 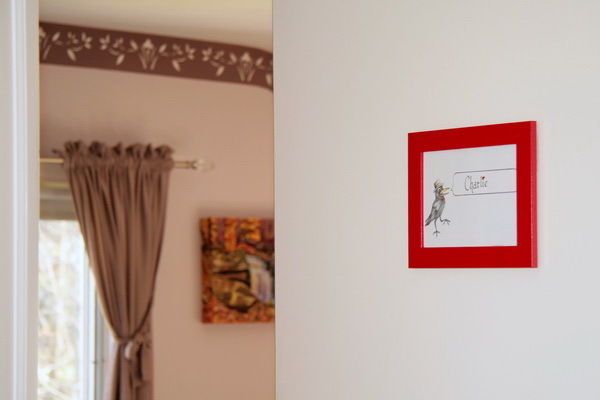 I think this makes a really great name print for a children's room and can also work well as a door sign. 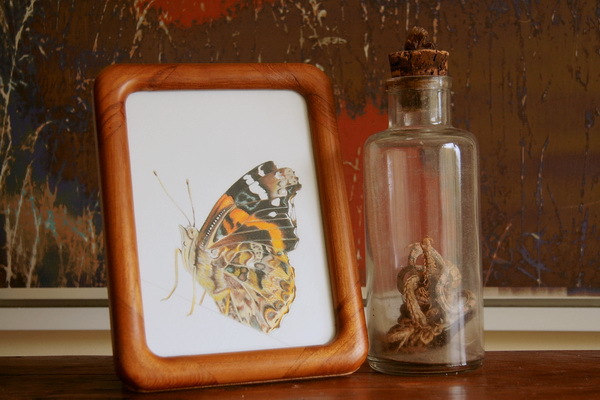 I'm thrilled to be filling the shop with new illustration listings. I hope you like them. The weather was so cold and rainy this weekend! We ended up having a really nice BBQ dinner indoors with Elycia and Ivan anyway. And I think the cold weather was a good thing for me because it gave me a chance to focus on the inside of my house. I finally got my studio in order after it had become a dumping ground for a few weeks and I had time to really think about and plan what I'd like to do in the garden this season.